This newly renovated family abode seamlessly blends contemporary design with traditional charm. 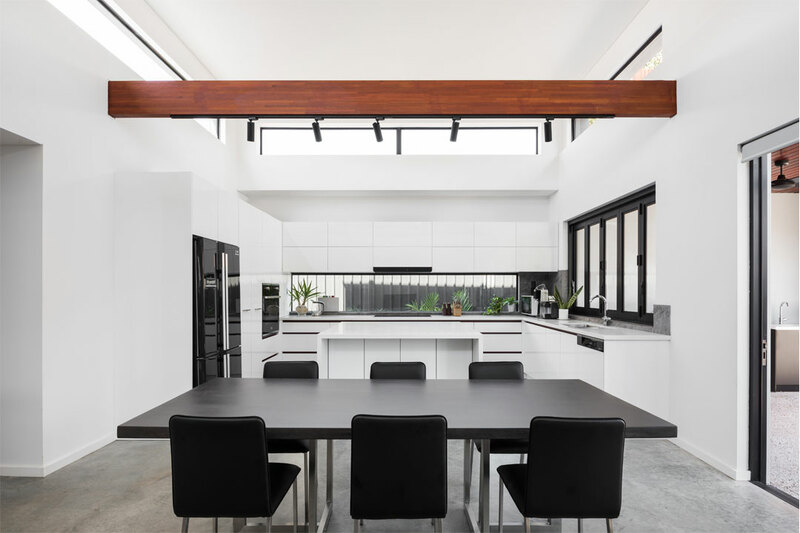 To highlight the original structure, the open-plan interior welcomes an abundance of natural light. The original hardwood jarrah floors and exposed timber beams combine to capture a unique sense of nostalgia. The new extension features sleek polished-concrete floors and high ceilings, which foster a spacious atmosphere. Bi-fold doors and heat-resistant windows ensure the house maintains a comfortable internal temperature throughout the year. Kre8 Constructions also added a unique rooftop deck, which allows the homeowners to enjoy picturesque views of Perth’s CBD. 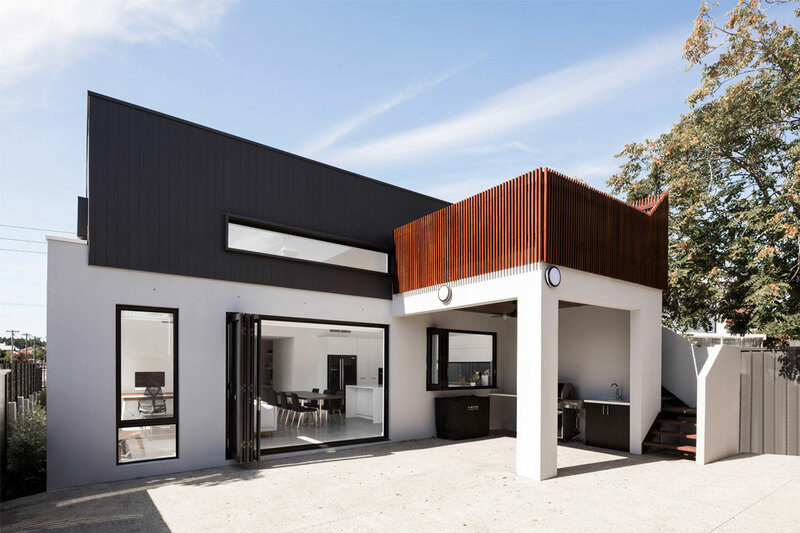 The statement-making jarrah beams that wrap around the balcony prove visually appealing from all angles. Designed for effortless entertaining, the modern kitchen includes large, deep drawers and plenty of bench space. 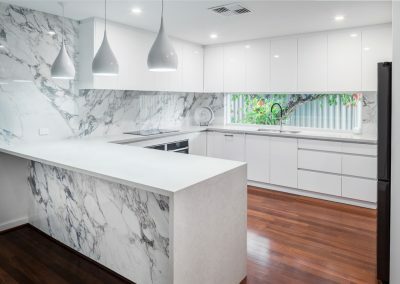 Featuring a striking white Caesarstone-topped island bench with waterfall edges, as well as striking black window frames and a grey splashback, this opulent area is the heart of the home. Showcasing a minimalist design with large-format tiles and a luxurious freestanding bath, the stylish bathroom is the perfect spot to relax. 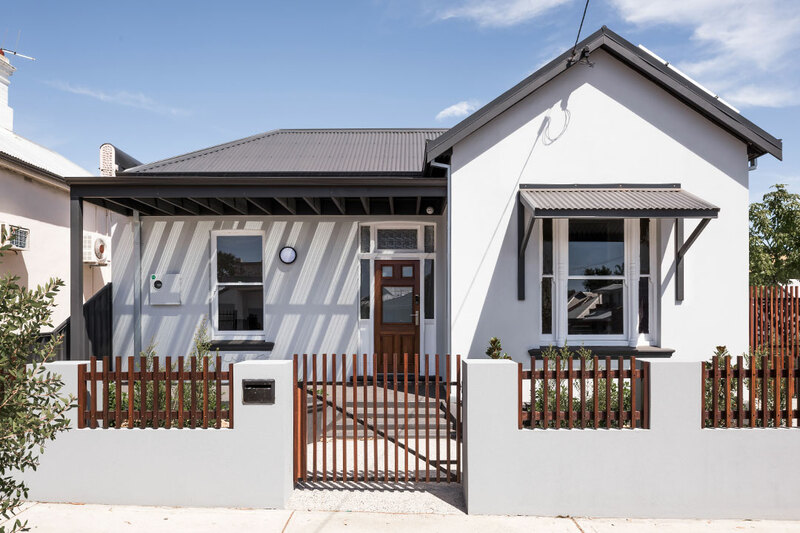 Operating in Perth, Kre8 Constructions completes around 12–15 renovation projects annually. Specialising in luxury residential homes and commercial unit developments, its skilled in-house designers and construction team will make your dream interiors a reality.